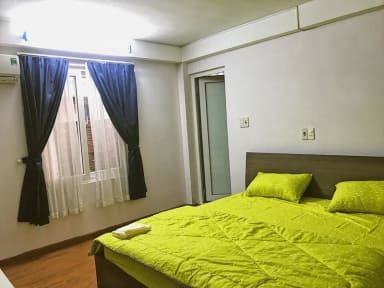 Toto Hostel is located in the center of Da Nang - the most worth living in Viet Nam. 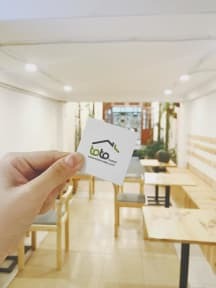 ToTo is a family hostel when you stay at the hostel, you are not our guest, you are a member of Toto family, you will never feel alone at ToTo hostel. Our criteria are Cheap, Fun, Clean and Comfortable. - We provide a 24-hour front desk with well-speaking English staffs. - A common kitchen, a large living room, and a coffee shop. You can cook, play boards games, read book or drink coffee, soft drinks. - We usually hold in BBQ parties in our spacious terrace to connect people. - Laundry service, motorbikes for rent, tour desk, free parking, free wifi, free one water bottle and one towel for each reservation. Check out Before 5:00 - 12:00.